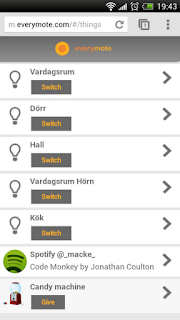 Slickstreamer is a shared blog for projects and hacks made by Michael Nilsson and Marcus Olsson. 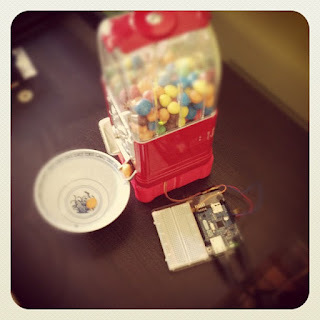 Our favorit candy machine is now connected to Everymote with the help of an Arduino Ethernet. 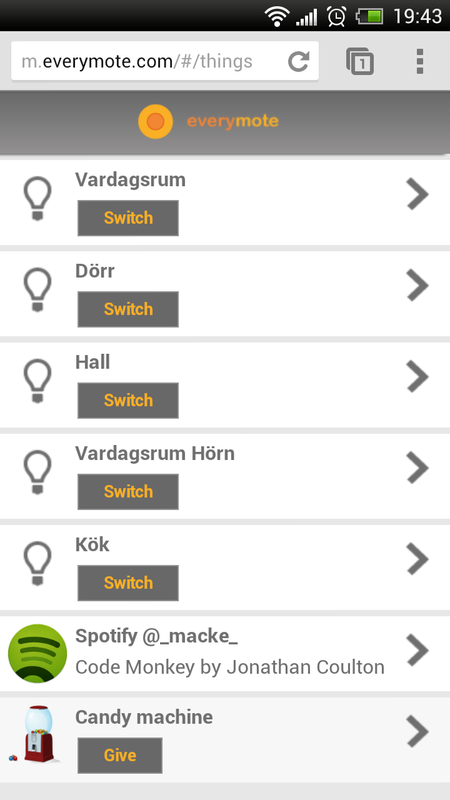 The Arduino is communicating with the Everymote cloud server using WebSocket and the socket.io protocol. All right we maybe didn't implement the full spec for the socket.io protocol just the bare minimum to get it work. Electric Imp solar powered temperature logger.